When traditional practice areas of law reach a saturation level, lawyers and law firms look towards emerging practice areas- areas representing new avenues or markets. The aim is to establish an advantageous position before competition catches up. Emerging practices can either be whole new areas of legal practice or traditional legal practices applied to an entirely new purpose. Quite obviously, the new niche practice areas call for a different mindset and unique skills set. It is universally acknowledged that energy is critical for turning the wheels of an economy. The energy sector is vast comprising not just primary sources, viz., petroleum; coal; natural gas; but also nuclear gas and the myriad renewable forms of energy. Until the 1980s, India’s energy policy was based on the availability of indigenous resources. With the passage of time, the hunt for energy resources gathered momentum which involved initiating partnerships with markets of the emerging energy-trading countries in order to meet the growing domestic demands. Given the importance of energy, particularly oil and gas, in our everyday lives and the increasing demand-supply gap, there is a huge demand for legal professionals in this sector. The first phase of reforms was initiated post-independence, when several oil companies were nationalized. In the early years, Oil and Natural Gas Commission ('ONGC') and Oil India Limited ('OIL'), both state owned entities, were the dominant players in domestic exploration and production activities. With time it was felt that petroleum business is capital intensive requiring new technologies; and therefore private capital, skill and technology is vital. The second phase in this sector was triggered in 1991, when private companies, both overseas and domestic, were allowed to participate in oil and gas field development. For introducing new technologies, the Government of India entered into various Production Sharing Contracts ('PSC') with joint ventures and/or private companies. However, post the 1991 reforms also the petroleum sector was governed on the lines of the old order in the sense that licenses were required for exploration; exploitation; and production sharing contracts. The process of de-licensing was initiated in 1998. But the liberalization and deregulation process is still not complete as Government owned companies continue to dominate the landscape. A regulatory body/authority distinct from the Government with a distinct identity of its own, was introduced in the “downstream activities”, which includes refining, transportation and distribution activities. A new legislation, viz., Petroleum and Natural Gas Regulatory Board Act, 2006 (PNGRB Act) was enacted to deal with downstream activities, pursuant to which, a regulator, i.e., Petroleum and Natural Gas Regulatory Board, was constituted in 2007. Experts believe that it is a matter of time before such an arrangement is brought in the “upstream chain”, i.e., exploration/exploitation and production activities. The regulatory functions in the upstream chain are performed by the Ministry of Petroleum and Natural Gas and by Directorate General of Hydrocarbon (DGH), an upstream advisory and technical regulatory body set up for management of domestic oil and gas resources. The DGH is under the administrative control of the Ministry of Petroleum and Natural Gas. The Indian oil and gas sector is highly regulated and to a large extent state controlled. The industry operates in a complex regulatory environment. While the policy decisions are taken by Planning Commission and Ministry of Finance, the regulatory aspects are controlled by the Ministry of Petroleum and Natural Gas, and the Petroleum and Natural Gas Regulatory Board. The legislative and policy framework in this area is multi-layered. Issues relating to import, transport, storage, production, refining of petroleum, are governed by the Petroleum Act 1934. The Oil Fields (Regulation and Development) Act, 1948 and the Petroleum and Natural Gas Rules, 1959 provide regulatory framework for domestic exploration and production of Oil & Gas. 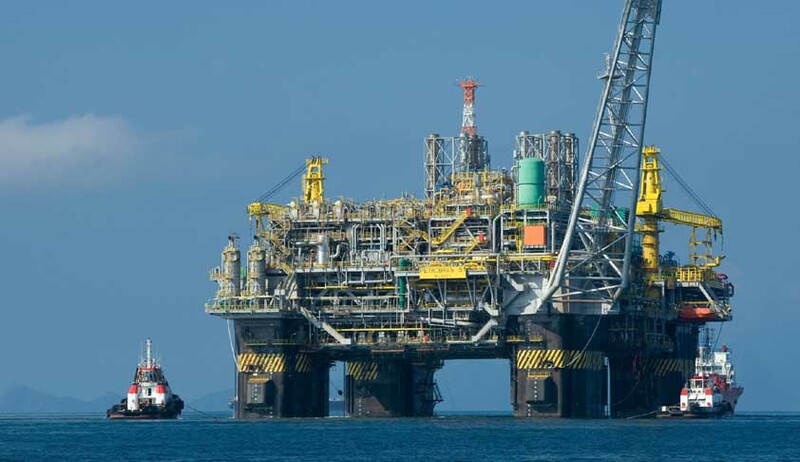 Further, with the bulk of oil exploration being done from offshore fields, another legislation viz., Territorial Waters, Continental Shelf, Exclusive Economic Zone and other Maritime Zones Act 1976 was enacted for regulating offshore petroleum operations. The upstream chain is governed by the New Exploration Licensing Policy of the Ministry of Petroleum and Natural Gas. The activities of this chain have now been de-regulated and thus private sector companies, including foreign companies, are allowed to bid for exploration and exploitation of oil and gas fields. For downstream activities, all private-sector refining projects have automatic foreign investment approval and may be 100% foreign-owned; but in case of Public-Sector Undertakings, foreign equity has to be approved by the Government and cannot exceed 49% of total ownership. There has been an increased clamor for an independent regulator in the upstream chain of this sector in order to meet the demands of modern day petroleum activities, particularly to look into the technical aspects, insurance issues, pricing etc. Moreover, the upstream chain continues to be dominated by PSUs and National Oil Companies, thereby perpetuating monopolistic tendencies. Consequently, this business is not a competitive one, with an absence of level playing field to all entrants, more so as India is looking forward to enhanced private sector participation in this industry. Petroleum and gas have emerged as critical, limited, non-replenishable natural resources with few viable alternatives. These resources impact and control the global economy. Petroleum is big business and an inextricable part of relationships between nations and governments. This sector offers diverse opportunities for lawyers and other professionals. Lawyers are engaged for wide ranging work, including contract negotiation and drafting; handling legal issues over environment and safety; addressing consumer issues, and competition law related issues, amongst others. The bulk of the work entails negotiation, drafting of contracts, addressing environmental issues, insurance issues, to name a few. Further, transnational pipelines, construction of refineries, and other related activities also gives rise to variety of legal work. The rapid globalization of the Indian energy and petroleum sector has led to a steady rise in the fructification of joint ventures, mergers & acquisitions etc. It is, thus, only natural that the demand for specialized legal professionals who appreciate the functional aspects of the business is acutely felt by the companies. Cross-border activities in this industry requires comprehensive due diligence, tough negotiation, multi-jurisdictional execution etc. Another important area of work for legal professionals in this sector is dispute resolution through mediation/conciliation/arbitration. Legal professionals are expected to understand and address petroleum industry specific legal issues. And so a lawyer desirous of entering in this sector must be able to grasp the technical and commercial nitty-gritties of the business, while offering workable legal solutions. The complex regulatory aspects, multi-layered legal regime, trading policies, etc., require specialised attention. As is the case with all the other sectors, the petroleum sector also calls for certain specialized skills. Conceptual understanding of negotiation strategies and drafting techniques are some of the key pre-requisites. These encompass knowledge of, inter alia, conducting negotiation, requisite documentation during negotiation, drafting techniques etc. Further, exposure to international commercial law, with specific reference to energy and petroleum related matters, is also critical. The contracting process too requires special care, particularly the structure of the contract; the key clauses to be incorporated; and understanding the joint venture structure etc. The work ranges from contract risk management, production sharing agreements, to international boundary disputes, and mitigating the risk of international sanctions. An increase in oil production, natural gas development, pipelines and related infrastructure has also resulted in an increase in the risk of legal disputes between the parties involved in these activities. But the scope of legal services and the role of the lawyers in today’s oil and gas industry is fast undergoing a change. Traditionally, as with other sectors, legal services in this business was synonymous with litigation. Pursuant to the increased interface between the industry and the regulatory authorities, lawyers and legal consultants have exciting opportunities to go beyond their traditional role. In addition to handling litigation, they have a role to play in shaping policy and in ensuring adaptability of the stakeholders to the constantly changing business realities. Employment opportunities for lawyers exist in the private and the public sector. In the private sector, big oil and gas companies offer lucrative avenues, the notable ones include Reliance Industries Ltd.; Essar Oil; Adani Gas; Petronet LNG; Cairn Energy; Shell; British Gas; and BP, amongst others. Several public sector undertakings (PSUs) also offer scope for legal professionals, including Oil and Natural Gas Corporation Ltd (ONGC), Oil India Ltd., GAIL (India) Ltd, Indian Oil Corporation (IOC), Hindustan Petroleum Corporation Ltd., Bharat Petroleum Corporation Ltd. As an in-house counsel or as a member of the legal team of these corporations, you will be handling all the legal matters related to their business activities. Working in-house in oil and gas companies is highly valued for expanding skills in this area. There is a general lack of specialist oil and gas lawyers in India who have transactional experience in the private practice market. You may also consider joining a law firm which provides legal services to oil and gas corporations. A majority of full service law firms in the country, the well- known firms as well as lesser known firms, are working in oil and natural gas, viz., J Sagar Associates; Mulla & Mulla (& Craigie Blunt & Caroe); Vaish Associates; Dave & Girish & Co; Maheshwari & Co; Fox Mandal & Co.; O.P. Khaitan & Co.; Legaleye Associates; Koura & Co; Kanth & Associates; Brus Chambers, to name a few. Given the importance of this sector in the coming years, there will be plenty of challenges with regard to regulations, usage, and other legal aspects which call for competent and credible professional legal advise. Any program or course on petroleum laws will involve study of the regulatory and legal framework as well as the contractual requirements of this sector, in addition to the study of the traditional areas of law. The College of Legal Studies at the University of Petroleum and Energy Studies (UPES) located in Dehradun (Uttarakhand) offers a specialized five year Integrated BA LLB Program with an emphasis on Energy Laws, including Petroleum Laws. The course which has been recognized by the Bar Council of India specifically covers modules like Oil & Gas Law and Policy; Regulatory Framework for Energy Sector; Environmental Challenges in Energy Sector etc. There are limited options in India as far as specialized courses in Petroleum Law is concerned. Since there is a shortage of law colleges/institutes offering specialisation in this area, those interested in pursuing a career in petroleum laws, will be well-advised to take up internships with companies in this sector or with law firms handling the legal work for oil and energy companies. Such a stint will facilitate gaining first-hand knowledge about the sector and the future prospects. An understanding of the principles of public and private international law relevant to the oil industry and how these principles operate in practice with reference to industry-specific contracts, agreements, will go a long way in getting a grip in this area of practice. A comparative analysis of the different legal regimes surrounding exploration rights and the problems related to it also helps the legal professionals in grappling with the larger issues involved in the business of oil. But what is perhaps most needed is awareness of the key economic and political actors in the oil industry, domestic and global. Live Law spoke to Mohd. Naseem, an eminent and well known expert on Energy Laws in India, with 21 years of experience. Naseem is Legal Counsel for Oil and Natural Gas Corporation Ltd. (ONGC). He is also Visiting Faculty and Guest Expert Speaker of University of Petroleum and Energy (Dehradun); Indian School of Petroleum; Indian Academy of International Law and Diplomacy; and India International Centre for Alternate Dispute Resolution. “The oil and gas is not only seen as business proposition but as a struggle for resources and hence is an integral part of world politics. There are issues relating to oil within the country and with other countries like trans- boundary disputes with respect to oil and gas exploration. Keeping in view the commercial interest of the countries involved, arrangements have been agreed and made between the countries to get oil and gas exploration done and economic rewards to be shared whereas disputes with respect to fixing political boundaries has been kept on hold. Thus Petroleum and Natural Gas Sector has tremendous opportunities for individual lawyers and legal firms both within the country and globally. For example, laying a pipeline passing through a number of countries, involves a huge legal exercise. Further, there is vast scope for negotiation, Drafting of Contracts and other documents, both in upstream and downstream chains of the petroleum sector and this is being profitably exploited by certain legal firms in India. The trans-country pipelines, construction of refineries, oil platforms, drilling and other activities are creating lot of legal work which is increasing day by day. There are various other areas related to petroleum which entail legal work, for instance, environmental problems and hazards, insurances relating to oil business, legal audits to mention a few. In addition, there is an increase in merger and acquisition activities relating to petroleum properties in India and abroad which requires comprehensive due diligence, negotiation, drafting and execution involving a number of countries. All this is invariably done by legal professionals and advisors drawn from different jurisdictions with sometimes different set of laws. *The views expressed here are personal views of Mr. Naseem and do not in any manner represent the views of ONGC Ltd.